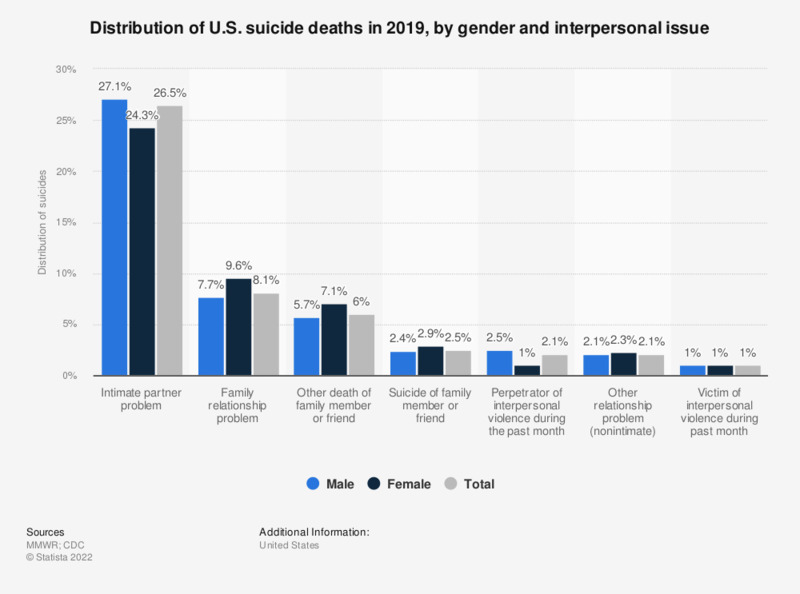 This statistic depicts the distribution of U.S. suicides among decedents with select interpersonal problems in 2015, by gender. According to the data, among males, 28.5 percent of those who died from suicide had intimate partner problems at the time of their death. Percentages might not total 100% due to rounding.